THE NIGHT CIRCUS meets THE PEAKY BLINDERS in Lee Kelly's new crossover fantasy novel. Magic is powerful, dangerous and addictive - and after passage of the 18th Amendment, it is finally illegal. It's 1926 in Washington, DC, and while Anti-Sorcery activists have achieved the Prohibition of sorcery, the city's magic underworld is booming. Sorcerers cast illusions to aid mobsters' crime sprees. Smugglers funnel magic contraband in from overseas. Gangs have established secret performance venues where patrons can lose themselves in magic, and take a mind-bending, intoxicating elixir known as the sorcerer's shine. Joan Kendrick, a young sorcerer from Norfolk County, Virginia accepts an offer to work for DC's most notorious crime syndicate, the Shaw Gang, when her family's home is repossessed. Alex Danfrey, a first-year Federal Prohibition Unit trainee with a complicated past and talents of his own, becomes tapped to go undercover and infiltrate the Shaws. Through different paths, Joan and Alex tread deep into the violent, dangerous world of criminal magic - and when their paths cross at the Shaws' performance venue, despite their orders, and despite themselves, Joan and Alex become enchanted with one another. But when gang alliances begin to shift, the two sorcerers are forced to question their ultimate allegiances and motivations. And soon, Joan and Alex find themselves pitted against each other in a treacherous, heady game of cat-and-mouse. A CRIMINAL MAGIC casts a spell of magic, high stakes and intrigue against the backdrop of a very different Roaring Twenties. What were your biggest inspirations while writing your book? I wanted A Criminal Magic to feel like an intense game of cat-and-mouse inside a very dangerous underworld, and so Martin Scorsese’s film The Departed was a great starting place. I also binge-watched The Peaky Blinders (this amazing BBC 1920s-period drama starring Cillian Murphy) – all of the characters of the show are fully-realized, and the gritty landscape of 1920s Ireland is so evocative it almost feels like a character itself. For the sorcery threads in the novel, I looked to The Night Circus, Harry Potter and The Magicians series as inspiration! What’s usually on your nightstand? Books, naturally J – usually the one I’m currently reading and the few that are in contention for what I’m going to read next – plus my cell phone and my kids’ sleep monitors. Which character in your book is most like yourself? I guess I wrote a little of me into both of my two main protagonists, Alex and Joan (I think you can’t help it, especially when you write in first person), but I would say that I’m more like Alex than Joan. 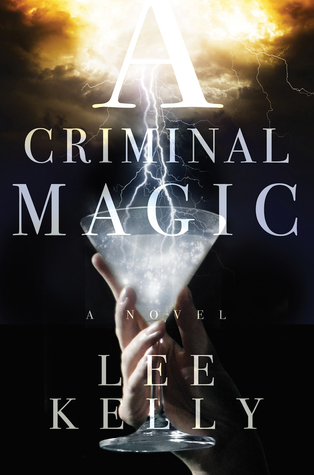 Alex is the undercover agent in A Criminal Magic – but only joined the Prohibition Unit to quash suspicion that he was helping his father run one of the largest criminal magic schemes in history. Alex begins the story as jealous and insecure, and wearing a massive chip on his shoulder – all things that I can be at my worst! Like Alex, I’m at my best when I’m working towards a goal – when I can channel my overactive mind and tendency to over-analyze into a singular task, and rise above my weaknesses. Which authors have most influenced your writing? A. Suzanne Collins, for her amazing ability to make you care about her characters while simultaneously driving you wild from story tension and suspense. B. Cormac McCarthy, for his awesome and enviable balance of the beautiful and the bleak, especially in The Road (some of his lines still haunt me, and I read the book years ago). C. Gillian Flynn, of course for her twisty plots, but moreover for creating such deep, wonderful, complicated, dangerous, different female characters. What is your favorite scene in your novel? There’s this place in the book called The Red Den, which is this underground performance space where illegal magic is served and performed away from the eyes of the law. And through various turns of events, both Joan and Alex end up finding themselves at the Den, at an immersive magic show. The evening begins with sorcerer performances and parlor tricks, then cascades into an “immersive magic finale” where a troupe of sorcerers puts on a full-scale magic illusion, and then the night finally culminates with patrons imbibing a shot of sorcerer’s shine (pure magic in a glass). Writing that scene – with all of the magic tricks and the festive excitement of the crowd and the flirty tension between Joan and Alex – it was so much fun I ended up writing a much longer scene than I’d originally intended. 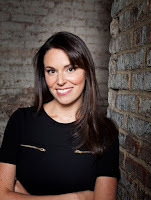 Lee Kelly has wanted to write since she was old enough to hold a pencil, but it wasn’t until she began studying for the California Bar Exam that she conveniently started putting pen to paper. An entertainment lawyer by trade, Lee has practiced law in Los Angeles and New York. She lives with her husband and son in Millburn, New Jersey, though after a decade in Manhattan, she can’t help but still call herself a New Yorker. City of Savages is her first novel. Visit her at NewWriteCity.com. This sounds delicious! I love the cover too. I'm really excited about this one- I actually just checked it out from the library! I am quite excited for this my coblogger really enjoyed it!